Samurai Warriors fans, listen up! Samurai Warriors fans, listen up! 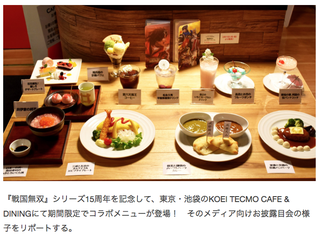 Tecmo Koei is currently developing a new entry in the series and for Samurai Warriors 4 DX’s release next month in Japan, Tokyo’s Koei Tecmo Cafe is serving themed eats and drinks.